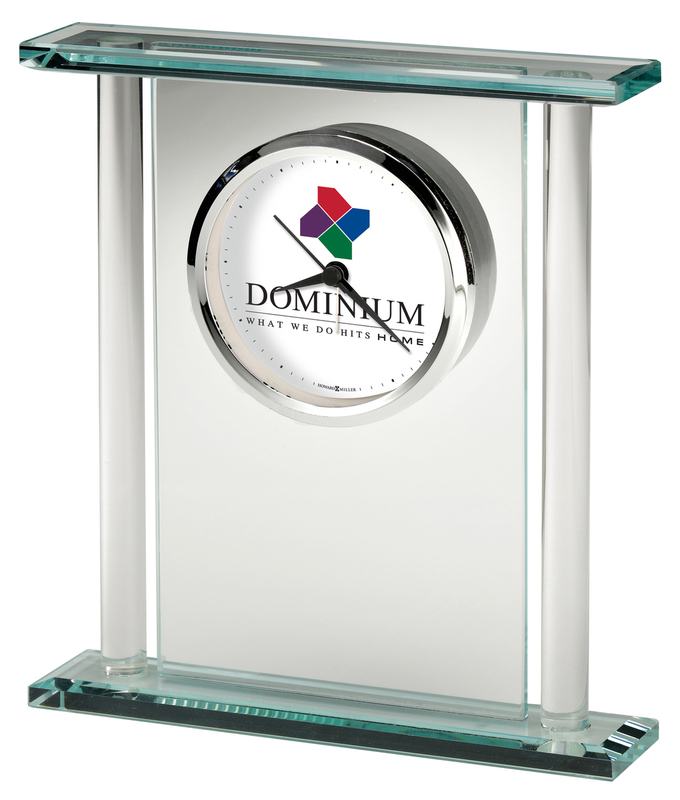 •Glass bracket style alarm clock with smooth and clear round glass columns. • The dial offers a white background with black Roman numerals behind a flat glass crystal and a polished silver-tone bezel. The hour, minute and seconds hands are black, while the alarm hand is silver. • Quartz, battery-operated alarm movement includes one AA sized battery. Fully assembled, multicolored imprinted dial. For orders less than 12 pieces, add $2.00 (V) additional run charge per clock. 8.25" x 7.5" x 1.75"
All production begins after art is approved. Allow 3 working days for paper proof. Seven (7) working days from art approval.